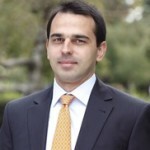 Georgi Radev has over seven years of experience in investment banking, investment management and management consulting in the United States and Europe. As an investment banker at Goldman Sachs in New York, Georgi has advised on mergers & acquisitions, leveraged buyouts, restructurings, capital raises and debt repurchases in excess of $10 billion across various industries worldwide. He played a leading execution role in the $450 million acquisition of Winn-Dixie Stores (NASDAQ:WINN) by Lone Star Funds and BI-LO, the $425 million leveraged buyout of Motorsport Aftermarket Group by Leonard Green & Partners, the $2.9 billion dual tranche offering of Mylan (NASDAQ:MYL), and the $635 million debt tender offer of United Technologies (NYSE:UTX). As an investment strategist at Goldman Sachs, Georgi provided asset allocation advice to institutional and private clients with net worth between $50 million and $1 billion. He also performed asset class research on various asset classes, including non-USD denominated debt and commodities. Georgi began his professional career as a summer analyst at McKinsey & Company, advising financial institution clients on market entry and merger & acquisition strategy. He has been investing in the public markets and rents out his apartment in his hometown, which he purchased several years ago. An avid athlete, Georgi plays soccer, tennis and golf. He has been actively involved with recruiting efforts from his alma mater and has spent three years as a volunteer for New York Cares, tutoring high school students in SAT preparation. Georgi holds a Bachelor of Arts degree in Mathematics and Economics and a Certificate in International Relations from Wesleyan University in the United States.